In the last couple of weeks I have to say that I have shaved my face even more than normal - a combination of loads of products to try and just the general urge to keep my facial hair looking tidy has spurred me on to really try out a number of different blades, lotions, scrubs and cleansers. You name it, I‘ve probably used it over the last two months. Today I’m going to be giving my thoughts on Shavekit, a mail order company who kindly sent me their new five blade razors to try, and try I have, for the last three weeks in fact these babies have been keeping my face free from hair, but how do they stack up against the more mainstream brands like Wilkinson Sword or Gillette? Read on…. So, what do Shavekit say about themselves? ‘We wanted to create a smarter, sharper, simpler way to shave. In short, a modern shave. So we cut out all the fuss. We threw out the old barber's chair, the whisker twiddling, plus the cost and the hassle of shopping in store. So, for £8.95 a month you receive in the post 5 ceramic-coated carbon steel blades and a cracking rubber grip to attach them to. Yes, it is that simple. So why buy through the post? Well, if your local supermarket is like mine then razor blades are treated more as some form of treasure to be protected and you have to wait around for someone to take them out of a protective cabinet (seriously, has anyone ever been offered hooky razor blades down the pub? Is there a Silk Road type website on the dark web where shadowy figures trade in illicit blades?!?!?). This removes the hassle and each month you can return home to find the blades on the mat ready for action. The actual grip is really solid in build and the rubber handle makes it incredibly easy to use - there is no danger of losing grip mid shave and taking half of your face off. I see this as a massive plus, particularly if shaving when my hands are going through a bit of a shaky phase (no, not hangover shakes, but the actual tremors I suffer with in my hands). When thinking about how I would describe a razor blade I considered a mild rant about when will the addition of blades stop? I had considered patenting a 25 blade razor the size of an iPad as a joke but alas the lazy streak in me won in the end. Instead you’ll be stuck with the dry thoughts - the blades do what they are supposed to, they are, erm…..razor sharp…..see, I said it was dry. In all seriousness, the shave quality is really good. The open back design means that even longer facial hair is rinsed clear of the blade between strokes and only a mild amount of pressure is required when moving the blade across the face. Following the shaving tips I’ve previously written about here I have to say it was a great finish. Those irritating bits of hair just under my nose usually result in me cutting myself, but not this time. Being able to grip properly and the excellent cutting action on facial hair meant that I have managed to remain cut free for ages and for this I am truly thankful. Personally I find these blades on a par with the excellent blades that come with the Cornerstone shaving kits and head and shoulders above premium brands like Gillette. Razor blades are not cheap by any stretch of the imagination and I think the blades from Shavekit are great. While I wouldn’t need a monthly delivery of blades Shavekit do have a system where deliveries can be suspended so you receive what you need. A very nice touch. Cost effective, long lasting (I’m still using the first blade with the same results some four weeks later) and convenient I can’t find any fault (which is rare). Go on, give them a try. Now for the good bit. The lovely people at Shavekit have provided a nice little voucher code for my readers to use should you decide you want to give the service and blades a try. 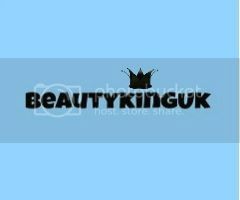 If you enter the code ‘BEAUTYKINGUK’ when prompted during the order process you will receive 70% off your first order.